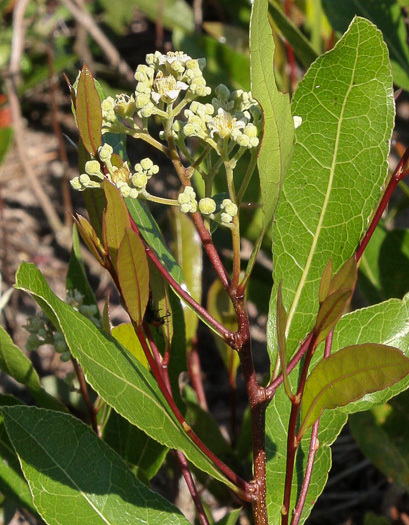 Typically described as a shrub, but with the aspect of an herb. To 2' tall, per Atlantic Coastal Plain Wildflowers. 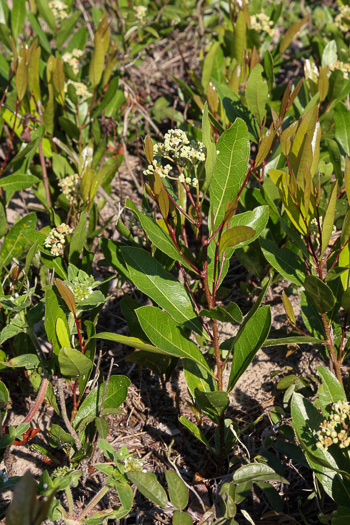 The tiny white flowers are borne in a conspicuous branched cluster, per Atlantic Coastal Plain Wildflowers.